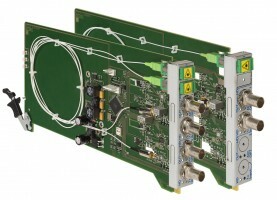 The NET E/R HD range is designed for SDI, HD and 3G transmissions over optical fiber. 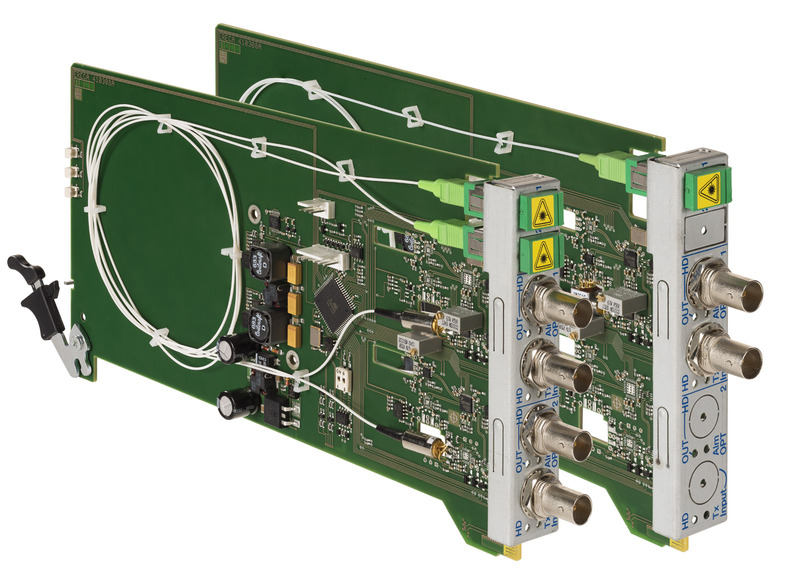 Along with the Gigabit transmission board these equipments are designed for infrastructure applications like rented transmissions or intra studio intercommunication. The transmission board fits in NET RACER chassis, the NET RACER 3U with 16 modules capacity and the NET RACER compact standalone with 2 modules capacity. The NET RACER built in management unit provides a comprehensive transmission board status trough Web brower or SNMP for local or remote management. Such density offers up to 64 HD links per 3U unit. 1 signal on BNC connector. Dual output on BNC connector. Signaling LED: Signal detection / Reclocker locked. Component: Laser 1310nm, 1550nm, CWDM, Bidirectional module. Signaling LED: Low optical level on receiver. or Standalone box with 2 slots: NET RACER COMPACT.